One of the most common health problems afflicting men is a "bad back." 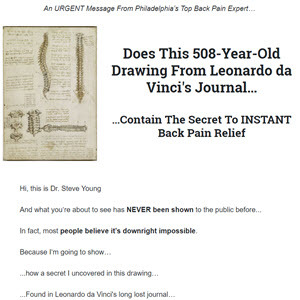 You may have already had the experience of back pain. And chances are that if you haven't, you will: It is estimated that 80 percent of adult Americans suffer from back pain at some point during their lives.2 Back pain is the most frequent cause of employee lost work time—more than any other occupational disorder.3 And the chief complaint among men who suffer from back pain is pain in the lower back. While some back pain is caused by accidents or genetics, much back pain is caused by faulty posture, and so it is avoidable. Yoga is a great way for you to help improve the state of your back. In fact, one of the principal goals of yoga is to promote a strong, healthy, and flexible spine so that the dormant kundalini energy that lies coiled like a serpent at the base of the spine can rise in a smooth and unimpeded flow up the central energy channel of the sushumna that lies in the center of the spinal column (see Chapter 7). The most common source of back pain is weak or tight muscles in the back, abdomens, and hamstrings. Back problems are often exacerbated by today's man's sedentary lifestyle, which not only causes strain in the lower back, but also often leads to obesity. Yoga exercises that address the muscles of the abdomen, back, and hamstrings along with the principles of a yogic diet are boons to any man concerned with the health of his back. Frequently, the muscles of the back and hamstrings are tight, while those of the abdomen are weak. This puts strain all along the entire back and spine, and particularly at the area of the lower back. Yoga exercises that strengthen and stretch the muscles of the back and abdomen can do a lot to help relieve back pain. 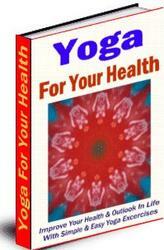 Specific yoga postures that can help you care for your back include all of the backward and forward bends presented in "A Complete Yoga Practice Session for Men." Generally, backward bends help to strengthen the muscles of the back and hamstrings, while forward bends help to stretch and release them. Some forward bends can also help relieve compression on the sciatic nerve, which can be a source of pain. Backward bends presented in a "A Complete Yoga Practice Session for Men" include Cobra Pose (Fig. YPS.8, page 127), Bow Pose (Fig. YPS.9, page 129), and Bridge Pose (Fig. YPS.11, page 131). Forward bends include Standing Forward Bend (Fig. YPS.1d, page 116), Child's Pose (Fig. YPS.2a and b, page 121), Seated Forward Bend (Fig. YPS.6, page 125), and Head-to-Knee Pose (Fig. YPS.7, page 126). Try doing these postures to strengthen and stretch the muscles of your back. In addition, you can practice Seated Spinal Twist (Fig. YPS.10, page 129) to strengthen and increase the flexibility of the entire lower back and abdominal area. Because the back is such an important, and problematic, area for many men, the following are several additional yoga exercises and modifications that you may find helpful in attending to the care of your back. You can do these yoga asanas any time and anywhere you like as independent, stress-busting poses. You can also try incorporating them into your practice of "A Complete Yoga Practice Session for Men" for added variety.